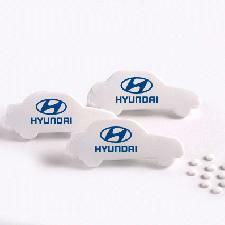 These Personalised Car Shaped Mint Cards are handy and are a great way to spread the word of your business as well as leaving a great taste in the mouth of your customer. 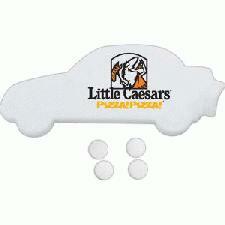 The Car Shaped Mint Cards are good for all kinds of business whether you supply car insurance or you are a car garage. These Personalised Car Shaped Mint Cards contain around 50 tasty mints and are a superb corporate gift and can be branded with your company logo and contact details. To contact Calendar Lady Promotions and get prices and samples of the Car Shaped Mint Cards just click on the link. These great corporate gift Mint Cards also come in many more cool colours and shapes that can have your logo and contact details printed on making these mint cards the perfect business incentive! The funky shapes available are House Shaped Mint Cards, Phone Shaped Mint Cards, Van Shaped Mint Cards, Ribbon Shaped Mint Cards and Circle Shaped Mint Cards. Calendar Lady Promotions also sell Corporate Mint Cards which is another great way to keep your business advertised!